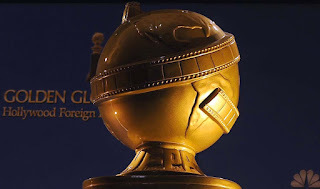 The Golden Globes get a lot of flack for being the less prestigious of the award shows and historically have thrown nominations to get big movie stars to come to their show. However, in the last five years, the Globes have done a better job awarding diverse films and actors than both SAG and the Oscars while still managing to be the fun wine aunt of the awards season. Although Tina and Amy have officially retired from their hosting duties and we are returning to the darkness that is Gervais, there is still a lot to look forward to in the actual program. This is a great list, even with the snubbed Steve Jobs. While I would die if Room came away victorious, I would be happy to see Spotlight, Carol, and even Mad Max take this home. This is one of those rare instances where I am a happy camper. 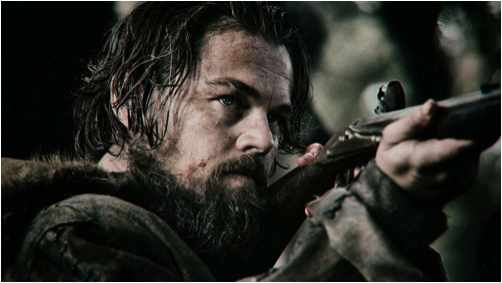 Now if The Revenant makes a big splash during its opening weekend, then I could see the Hollywood Foreign Press Association (HFPA) rewarding Revenant director Iñárritu, who was snubbed last year. I'm holding off on calling any Star Wars: The Force Awakens snubs, but if the film meets my expectations then I know a few categories that could benefit from its success. We are going to take a minute to note that The Martian is NOT a comedy. While there is humor in the film and it might not be as dark as Room, Spotlight, or The Revenant, it is not a comedy. Now that we've acknowledged that, we can rejoice that Amy Schumer's masterpiece Trainwreck got so much love and hopefully will win this. I loved The Martian a lot, but can we please get back to letting actual comedies win this category and stop with the award politics? Yes, they fixed the Mara/Vikander category fraud, but come on. I have a feeling that this year could be one of those times that Best Picture and Best Director don't line up. It's happened a lot recently with Gravity vs. 12 Years a Slave and the Argo debacle. I could see someone like Ridley Scott or Todd Haynes being rewarded with Best Director while Spotlight takes home Best Picture. You don't feel the direction and autuership in Spotlight like you do with Carol or The Martian, and both Haynes, Scott, and even George Miller are more experienced acclaimed directors that HFPA and the Academy might want to give a career award to. *It's really sad when I actively try to remember films directed by women this year for my snubs and the only women I can think of that directed films I liked this year are Elizabeth Banks of Pitch Perfect 2 and Sarah Gavron from Suffragette. I need a minute to remember why I want to work in this industry. 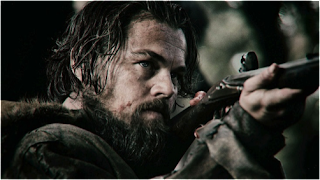 Fassbender continues to have my frontrunner status until reviews of The Revenant are released. This seems like the usual suspects from the SAG Awards, only we swapped megastar Johnny Depp for megastar Will Smith. Redmayne is still riding last year's win and having another dramatic physical transformation is only serving him well this awards season, even if his film is getting some flack for historical inaccuracies. This race seems to be between Fassbender and DiCaprio, and there are no clear winners yet. I actually 100% expected all five of these women. I'm pretty content with this, actually. Ahh, the results of the Globes trying to fix category fraud. Vikander and Mara still ended up with nominations, but I still see this as Larson's to lose. Blanchett is a very recent winner, and while Ronan and Vikander are great in their respective films, Larson fills the screen with her journey from mother to child and back. I will not be mad, though, if anybody else wins because this is one fierce set of nominees. I will go ahead and say that my favorite male comedic performance this year was Robert De Niro in The Intern, so not seeing him on here is quite sad. With The Big Short getting a lot of love from the HFPA and Bale getting a nom at the SAG Awards, I think Matt Damon lost his edge in this category to Christian Bale. The Big Short has snuck up on everybody and performed very well with both award shows. If the film gains traction in the next few weeks, I could see it swiping away all the awards The Martian seemed destined for. The women are giving us yet another strong category, with best friends Jennifer Lawrence and Amy Schumer most likely planning an epic after party to celebrate how great they are. Lily Tomlin sneaking in with Grandma really made my year (no joke, I get teary thinking about how funny she was). While this category seems destined for JLaw, I could see HFPA not rewarding her with a third statue in four years and going with her bestie for her banner year. Bravo HFPA for getting a category so right. This year's batch of supporting actor nominees is even more unpredictable than Best Picture itself. Mark Rylance and Michael Shannon seem to have the best odds, but Stallone is having a career resurgence with Creed. While Rylance is my frontrunner for now, the Globes love their movie stars (hence the Tremblay snub). Even with Rooney Mara and Alicia Vikander being forced into lead actress by this voting body, this category manages to be just as strong and competitive. Opening up those two slots gave room for Vikander to be recognized for her less awards-baity film, Ex Machina. From the moment I saw Kate Winslet in Steve Jobs though, I knew she was the person to beat. The Globes love her, and she has the performances to back up this love, but if The Hateful Eight scores well with audiences and critics, then Jennifer Jason Leigh can pull a Christoph Waltz from Django Unchained and rewrite the awards conversation. Funny story: So in summer 2014, I was in the bookstore looking for anything to buy when our monster of an editor Jenn told me to buy Room but didn't tell me what it was about. I haven't been okay since. What makes all these nominees great are how they managed to paint such detailed worlds yet keep the character motivations sound and the momentum of the story flowing. Steve Jobs is a recognizable Sorkin script that stages its conflict as a three act play. Room tells this horrific story through the eyes of an innocent five-year-old boy, keeping it out of exploitation and movie-of-the-week territory. 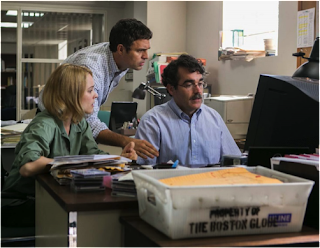 Spotlight is very straight-forward, but its characters are written to be reporters who don't make the story about them. While we all have yet to see Tarantino's next project, we know from his history that it is going to be a rich world with his specific cadence. While other successful films were left out of this category, it's safe to say that a deserving film will win. With original score and song at the Globes, you will see more popular fare and familiar composers being recognized. We could easily be calling 50 Shades an award-winning film within a month. While I'm personally pulling for Furious 7, I cannot predict what will actually win or how this will affect the Oscars because the Globes and the Oscars rarely match when it comes to these things. My personal favorite score of the nominees are those from Carol and Steve Jobs, but I could see Alexandre Desplat getting it for The Danish Girl because of name recognition alone. I am going to be a giant advocate of Inside Out this year, not only because of the perfectly cast voice talent, but also because of the subject matter it covers in such a simple, beautiful way. Most live-action films struggle with deconstructing the complexities of human emotions, but this animated film brings the base emotions to the surface and shows how they interact with each other and how one cannot work without the other. 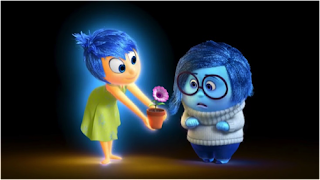 Tackling the issue of depression in a child and showing viewers in a simple manner how not-simple the illness is, while also managing to be a fun film for children and families is a lot to accomplish, but the film manages to do so and generate a thoughtful product. And if it were up to me, Phyllis Smith would be competing for Best Supporting Actress this year for her remarkable work as Sadness. I'm abstaining from this until I have a chance to see some of these films. And there you have it. I won't be covering the television nominees because even though the Globes are honoring more diverse and interesting people and programs than the Emmys, they still do not give that medium enough respect or care in their category placements. Tune in January 10th when I'll be covering the program, and let me know who are your favorite nominees and what are your biggest snubs in the comments below.